Be Prepared for Adventure! 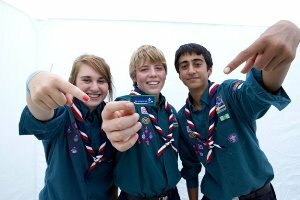 Scouting has exciting opportunities for volunteers in the Harrogate and Nidderdale District. Purpose of the role of District Explorer Scout Commissioner is to run the Explorer Scout section of Scout Units across the District to ensure they run effectively, planning programmes for young people in the age range 14-18. In 2015 Scouting introducing a revised programme based on the themes of Outdoors and Adventure, World and Skills through which young people can gain experience in such activities as camping, climbing, water, air and other land based activities. Scouts covers the age range from 6-25 in 5 sections for girls as well as boys. This vacancy covers the whole District from Harrogate, Pateley Bridge, Knaresborough and Marston Moor near to York. The Primary Leader role is to volunteer with young people to assist with programmes on a weekly, term time basis with occasional weekends. Harrogate Scouts has Beaver Colonies and Cub Packs which welcome boys and girls between 6 and 10. Scout Troops and Explorer Units welcome boys and girls between 10 and 18 years. 18 - 25 year olds are Network Scouts. We abide by the rules of the Association. Our aim is to develop members socially, physically, spiritually and intellectually. We cater for able-bodied people and people with disabilities. Our District membership is made up of 14 groups mainly centered around Harrogate and Knaresborough. We have a District Campsite at Thornthwaite in Nidderdale with an excellent range of facilities including an activity centre sleeping 40.